I believe myself to be one of those cranky people who're obsessed with everything absolutely original and genuine. I don't like spoofs, or fan-fiction, or technology that quickens the age-old techniques that made people patient. There's evidence in the way people behave, about how mindless use of everything that we feel makes our lives easier is only making us lazy, unkind, liars and generating such needs we never knew we had. I miss the time I did not have a smartphone, which was only a year ago, yet it seems like ages. It's only a small device, yet it brought so many changes that makes me feel like I've spent a lifetime doing nothing important. It's a difficult realization, because the convenience it gives is too much to let go, so that if you want to reduce the wasteful time, you've got to know how you can avoid it, and work on the way you've figured out. Anyway, why do I always divert from the essence of the post I'm supposed to write? Back to TFIOS. I don't even like short-forms. I started using TFIOS for The Fault in Our Stars since it became all too common, and I hate myself for succumbing to it. I remember the first year of book blogging. It was the most enriching, lovely and transforming phase in my life when it came to books. I had found a way to express my love for books, share my thoughts, and interact with people who shared the same love. 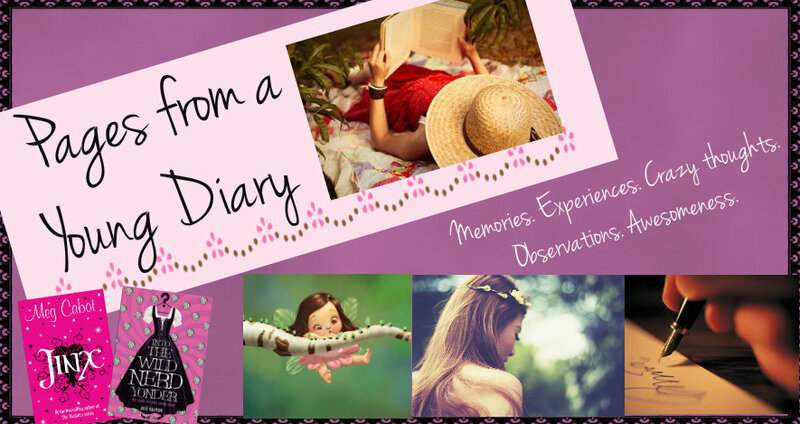 I was one of the few Indian bloggers who had pure, bookish blogs and I was proud. I learned A LOT. I read a lot. And then the phenomenon of book blogging became popular, or I reached my saturation, or there were just too many fellow Indians blogging about the kind of books I hated, that I simply stopped hopping onto other blogs unless they really intrigued me. During that period when I used to get all excited by the new releases and read lots of YA, The Fault in Our Stars by John Green got amazing reviews. I was naturally entranced by it, although owing to my natural aversion to anything popular, it was a long time before I actually got down to reading it. Just like most of the world, I loved it. I loved it even though it was somewhat a love story (which I find difficult to read), even though it defied all rules of a 'good book' in my criteria. 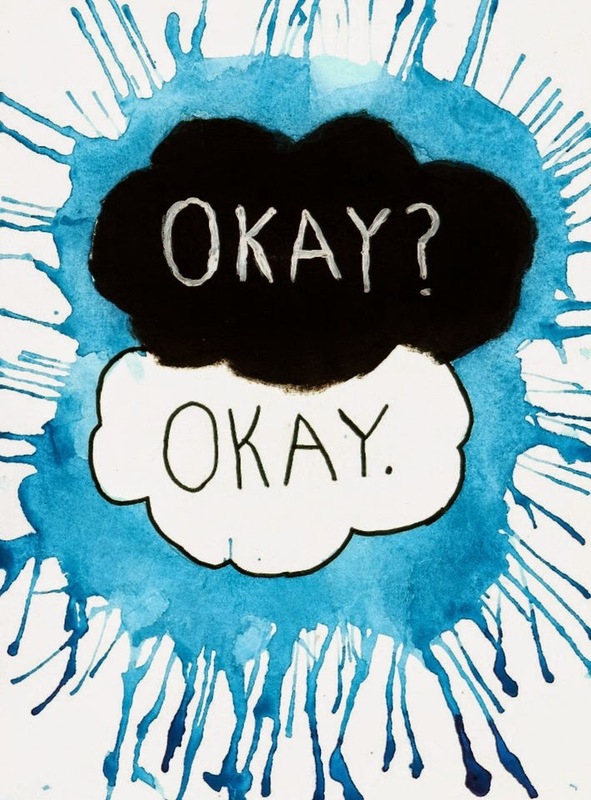 I loved the smartness of Hazel and Augustus's talks, I loved the places they visited and I loved the sadness in it. I was so used to (and preferring) happy endings in novels that I was surprised to find one that wasn't happy, or necessarily hopeful, yet I had loved reading it. I was sure I'd re-read the book a lot many times later on. My reader-blogger friends read it as well, and we discussed the book. Looking back, I now feel probably that love was only a phase. Probably. Because then we got news that it was being made into a movie, and were we excited! I was ecstatic. That was still the time when I enjoyed movies from book adaptations. With feelings of anticipation, I watched the trailer, and was immediately disappointed. Now, I don't have any issues with any actor, or people who made the movie or people who're watching and loving it. It's entirely a personal thing. I felt it was too much like a love story, and thinking that movies are commercial and would be molded to fit the audience's interest did nothing to make me feel better about the movie. My reaction at first was, 'This is not the Hazel I imagined. We made plans to watch the movie anyway, but got busy. I was somewhat relieved. I didn't want to watch it anymore. While the movie was being made and before any visual came out, I was still in awe of the story. I saw a girl in the metro wearing converse shoes themed The Fault in Our Stars blue, with the white clouds and "Okay, Okay" written on them. She told me her friend had made those for her. I admired those shoes and the girl and her friend all the way. I gushed about Gus with a friend for months, and then it all suddenly stopped. I am not sure why, but I partly feel it's because it got too popular, and all sorts of people were seen with that book in the metro. Although I was glad that at least people are reading something good instead of those crappy novels I usually see as popular metro reads, but The Fault in Our Stars then became TFIOS. Everyone knew about it, everyone loved it. Even the wrong sort. A group of friends(?) planned to watch the movie, knowing, (or most probably not knowing) how much I had loved the book, conveniently forgot including me in their plan to watch it. In all probabilities, I'd have refused, and it most certainly did not matter then, but maybe it did, just a little (that's why it occurred to me to write it here, didn't it?). It made me go away from TFIOS all the more, because I realized that everyone was watching it. Everyone was aware of the story I once read so carefully, tucked into the covers and marking the beautifully written phrases. It ceased to be special, or at least as special as some other stories are. I still haven't brought myself to re-read it, or watch the movie. Probably I won't for a long long time. It's a strange obsession, I tell you. One of my closest friends once remarked how I might be missing out on good stories this way; not reading or watching something just because it's popular, or worse, all the people I don't like are gushing about it (read Game of Thrones). I agree, but I know I'll eventually get to those stories sometime. Later on when people have forgotten about it, perhaps. Or maybe I'd make some exceptions that don't even make you feel like you're one of the many, like Harry Potter. It's not easy, especially not in my now-adopted profession, because I'd need to read as many popular things as I can get my hands on. But essentially, my nature stays the same: I want all the amazing books to be read and loved, but I don't know how, because when they do get popular, I sometimes feel uneasy, like a special part of myself has been opened and taken by random strangers. oh man!! i still love TFIOS and augustus shall stay with me forever. though i didnt like the choice of actors in the movie but the movie was pretty good and i totally get the point u r tryin to make here,ashna! Hi! Good to know you love Augustus! He is truly one of the most remarkable characters. I love the way he talks :') It's just that feeling of surging excitement for TFIOS is lost for me :/ That's something I don't like. I used to love it so much! Not liking pop culture books is something that I have noticed in a lot of people. But despite being a hater of norm in general, I have found gems despite them being excessively popular - so the point I'm trying to make is that you shouldn't let yourself be immediately put off by popularity, especially in books. And don't give up on Game of Thrones either, it is one of the most intricately written plots. As for The Fault in Our Stars, I don't think I will ever get over the obsession for the sheer power of the written word in the book. You're right. Spoken like many wise friends I have. :) Like I mentioned in the post, it's a strange thing and I eventually do get down to those stories later on, just not when it's being popular. As for Game of Thrones...... well :P That'd be slightly more difficult, but I'll get to it. Not now, sometime later perhaps. I'm not much into historical fiction, and that is one reason too. I wasn't that affected by the crows however, when it came to Harry Potter and THG! And many other books too, for that matter. I suppose it was because I saw all the book bloggers gushing about it, and I identified with them. I dunno what happened to fault in our stars(I still don't like to use or do unless on a phone with someone who types with a speed of 'flash', the acronym. i'd leave the 'the' out and make it shorter :P) It is like, I might still watch the movie but I am not dying to. The frenzy puts me off too. And very easily(I didn't read or watched a single harry potter book/movie until one day, I tried watching just for the curiosity and there was no turning back after that). Anyway, it doesn't happen with me always now, so I can be someone who might join the crowd. But then too, there would be many 'ifs' and I do totally understand how you feel there, for the sic. P.S: I didn't like the look of the actors either in the trailer. Both 'just hazel' and gus weren't like them at all.